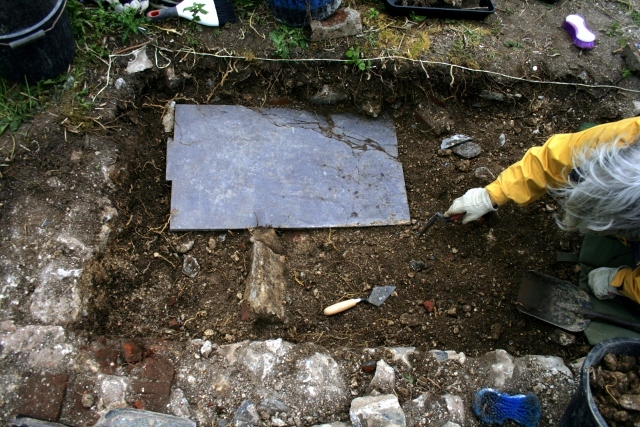 This Sunday’s dig was in the grid square encompassing the north-west junction of the garden/farmyard wall and the front garden/property boundary wall, over the site of the outside toilet. Demolition rubble in vicinity of outside toilet. and a large slab of slate 18″ x 2’6″ x 1″ (46cm x 78cm x 2.5cm). There was no indication of the slate’s use – it was blank on both sides. 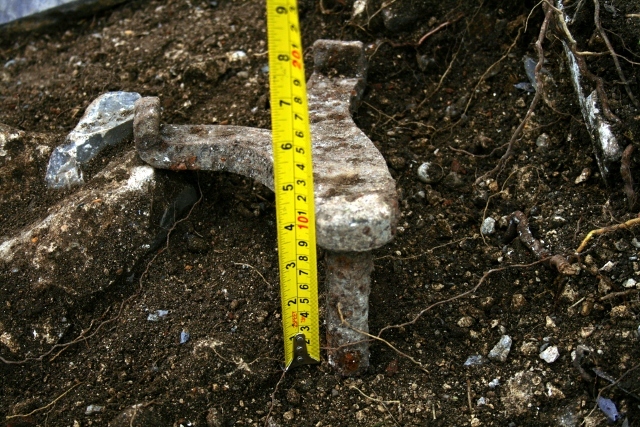 Demolition rubble under slate slab. 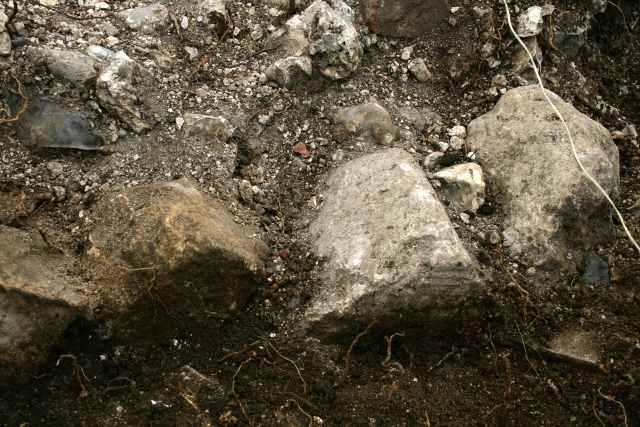 Under it was yet more brick and flint rubble which has yet to be excavated. 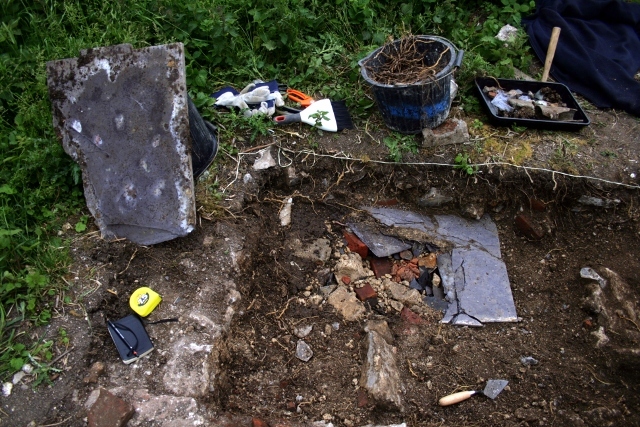 It was lying flat, just a couple of centimetres away from the boundary wall. It may have been leaning against the wall, and fell underneath it, when it collapsed. Part of the collapsed wall had caused it to break into two three or more pieces. 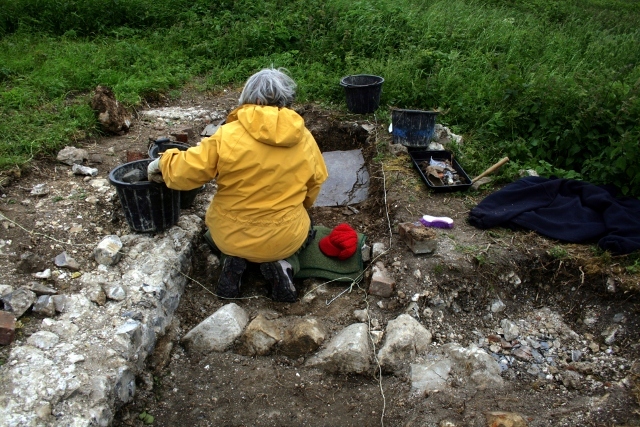 Diagonally laid masonry possibly edging a path to the toilet. 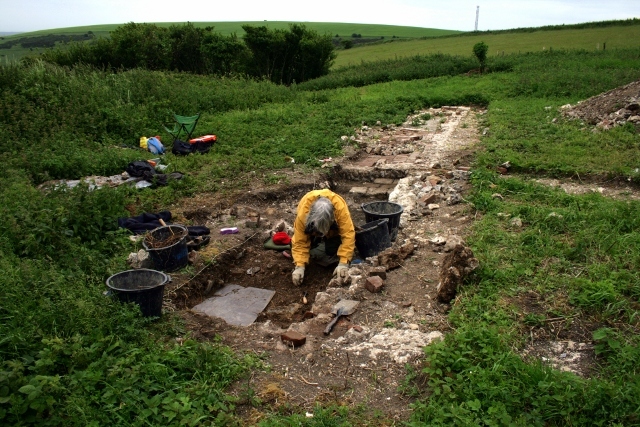 Further excavation is needed to determine the function of the 3 or more diagonally laid masonry blocks at the southern edge of this grid square, the front of which had been previously uncovered. They may form the edge of a path leading to the toilet door from the main garden path.